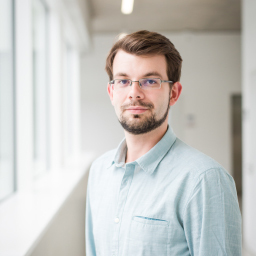 After hypothesis-driven research on chaperones and aggregation-prone proteins in the Hartl group and explorative screening on autophagy in the Harper lab, Christian sought to combine these two approaches when he started his own group in 2010 at the Goethe University. 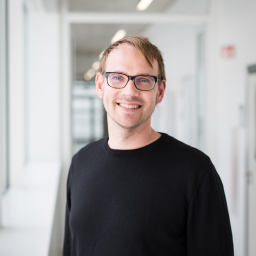 After setting up proteomics and high-content imaging platforms at the IBC2, he focused on exploring the cellular components that drive or regulate autophagy and that are subject to autophagosomal degradation. Within this framework, the ubiquitin system gained particular attention. In 2016, Christian returned to Munich and neurodegeneration by joining the Munich Cluster of Systems Neurology. Lukas Brecht studied Molecular Medicine at the Friedrich-Alexander-University in Erlangen. After obtaining his B.Sc. degree in 2013, he did a six-month research internship on oligodendrocyte progenitor cells at the University of Cambridge. Later, he continued his studies in Erlangen and obtained his M.Sc. degree in Molecular Medicine in 2016. During this time, Lukas focused mainly on the immunobiology of glial cells and the blood-brain-barrier in multiple sclerosis. 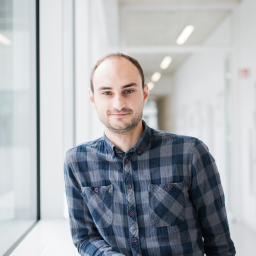 He joined our group as a PhD student in June 2017 and now works to determine the role of autophagy proteins in microglia and their relevance for the clearing of amyloid-beta plaques in Alzheimer’s disease. Franziska Eck was born in Munich where she accomplished her bachelor in Biology. At Göteborg University in Gothenburg, Sweden she completed her master studies in Molecular Biology in 2014. In her master thesis she investigated stress response pathways in E. coli. In October 2015 she started her PhD in the autophagy signaling group headed by Dr. Christian Behrends at the Institute of Biochemistry II in Frankfurt. 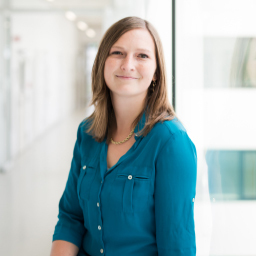 When the Behrends group moved to the Ludwig-Maximilians-Universität München in November 2016, she set up the laboratory at the Munich Cluster of Systems Neurology. 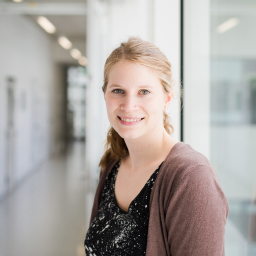 Currently her work focuses on deciphering the function of human ATG8 proteins using the CRISPR/Cas system. Vanessa is the biotechnological assistant in our group. She finished her apprenticeship at the Scientific-Technical-Academy Isny in 2016 and is working in our lab since then. Her main working field is the CRISPR/Cas system but she is also organizing everything in and around the lab. She always tries to help her colleagues and is always up for questions. Not only does she like to learn new methods but she is also able to implement them very quickly. She is the calm anchor in the group but nevertheless you can have a lot of fun with her. 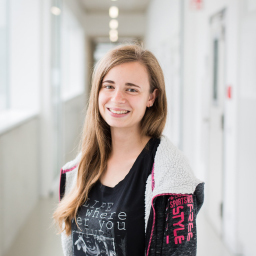 Julia obtained her bachelor’s degree in Biology from the Carl von Ossietzky University of Oldenburg with a focus on protein chemistry and neurobiology. She then continued her studies at the Technical University of Munich and graduated with a master’s degree in Biochemistry. During her master’s thesis, she investigated peptide-based inhibitors in order to modulate the self-assembly of amyloidogenic polypeptides associated with Alzheimer’s disease and type II diabetes. 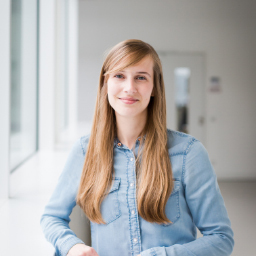 In February 2017 she joined our group as a PhD student, where she now aims to understand the interactions and cellular localization of autophagy-regulating proteins as well as the pathological role of autophagy receptors in neurodegenerative diseases. Susanne studied Human- and Molecular Biology with focus on Neurology and Immunology at the Universities of Hamburg, Lund (Sweden) and Saarbrücken and obtained her master’s degree in 2015. During her master thesis and proceeding work as student research assistant, she worked on the role of brain-specific microRNAs in learning and memory processes. In a voluntary internship at the Luxembourg Institute of Health she participated in work on disease models of neuroimmunology. 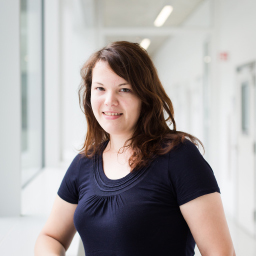 Susanne started her PhD in our group in March 2017 and is interested in the characterization of neuronal substrates of autophagy. Before joining our group in May 2017, Karsten studied Molecular Biology and Biomedicine at the Johannes Gutenberg-University Mainz. 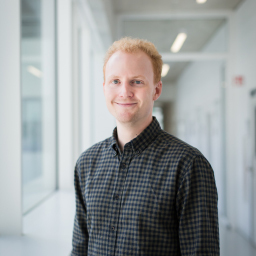 He joined the group of Christian Behl (Johannes Gutenberg-University Mainz) to obtain his master’s degree, where he worked on the effects of altered autophagy on the oligomerization and aggregation behavior of alpha-synuclein species as well as their release via exosomes. In his PhD he is trying to elucidate the crosstalk between early secretory processes and autophagy. Both processes are initiated at specific sites of the endoplasmic reticulum and are crucial to maintain cell homeostasis. His project focusses on the identification of unknown interaction partners and shared regulators of both pathways, e.g. by using high-throughput microscopy. Laura studied in her bachelor Nutritional Science at the Technical University Munich, focusing on molecular nutritional medicine. She continued with a Master in Nutrition and Biomedicine, which she finished with a master project at the NIHS Lausanne in Switzerland. During this time, she worked on mitochondrial biogenesis in zebrafish in Philipp Gut’s group. Laura joined our lab in June 2017. In her PhD thesis project, she uses zebrafish as well as different cell lines to reveal the role of autophagy-related proteins in amyotrophic lateral sclerosis. Alexander Siebert studied Biology at the Rheinische Friedrich-Wilhelms-University of Bonn and did his bachelor thesis at the Department of Pharmaceutical Microbiology. Afterwards he obtained his Human Biology master’s degree at the Philipps–University in Marburg. His master thesis focused on the purification of the early iron-sulfur cluster assembly machinery and the investigation of the sulfur transfer reactions involved in the building of iron sulfur clusters. In November 2016 he started his PhD in our group where he is now studying the early initiation steps of autophagy.